CAD Hatch Pattern Library now on ArchBlocks.com! 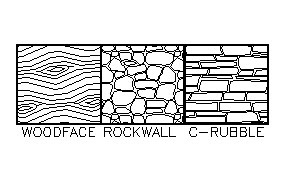 The 100 Plus Hatch Patterns from CompugraphX has just been added to the list of products available on www.ArchBlocks.com. There are over 365 hatch patterns in this library for the architectural and civil engineering designer. 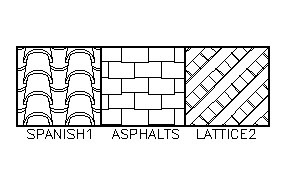 Great CAD hatch patterns for wood, natural stone, roofing material, brick, and floor tile. CAD Hatch Patterns for Roofing, and Lattice. CAD Hatch Patterns for Wood and Natural Stone. Check out the 100 Plus Hatch Patterns product by clicking HERE. This entry was posted on Wednesday, March 10th, 2010 at 3:19 pm	and is filed under AutoCAD Hatch Patterns, Uncategorized. You can follow any responses to this entry through the RSS 2.0 feed. Both comments and pings are currently closed.